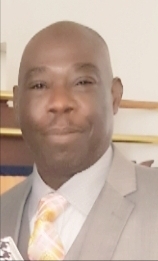 Obituary for Yolonzo Carroll Butts | Beach Funeral & Cremation Services, Inc.
On Friday January 18, 2019, The Great Almighty God dispatched an angel to bring home the soul of our dearly beloved husband, son, brother, father, and grandfather. Yolonzo Carroll “Wonnie” Butts was born in Berkshire, England on July 1, 1960 to Ret. MSGT Percy A. Butts and the late Pastor Evangelist Hattie Butts. Yolonzo received his education throughout the world. He attended schools in many countries and in the United States. As an adolescent Yolonzo was a star football player at Bond Wilson High School in Charleston, South Carolina. After his high School years, he was employed at Moore Drum Inc. for 20 years. He then worked for MDV Nash Finch for approximately 15 years where he retired in 2007. Yolonzo loved hard and enjoyed life to the fullest. He loved to crack jokes and have fun. He was everyone’s favorite brother, uncle, cousin and friend. Yolonzo enjoyed cooking on the grill and became the family’s “grill master”. He was always willing to help anyone and believed in showing love. He leaves to cherish precious memories: his wife and best friend Evangelist Missionary Cathalene D. Butts, one daughter Melissa Davis, step-daughter Crystal Green, three grand-daughters, Enijah Davis, Michaiah Davis, Heaven Carter and one great grand-daughter Renae Davis, father Percy Butts of Charleston, SC. ; three brothers Lorenzo and Gary, of Charleston, SC, and Dennis (Janice), of Covington, GA. two sisters, Belinda Butts-Hudson, of Conway, SC and Dr. Elsa Butts, of Charleston, SC., eleven nieces and nephews, eleven great nieces and nephews, Three Uncles Bishop Ted Thomas Sr., Mr. Lawrence Butts, and Mr. Spencer Butts and a host of family and friends, three special mentions, Author (Mo) Jimerson, Hedy (Tookie) Bullock, and Zelma (Net) Thomas. Deacon Yolonzo Butts joined Miracles of Faith COGIC in the late 1990’s after a revival where he was slain in the spirit and received salvation and the Holy Ghost. He became an avid Bible scholar who enjoyed Sunday School, YPWW and Bible Study. Deacon Butts was loyal and faithful to his pastor, the late Assistant Supt. James C. Little, Sr., his First Lady, District Missionary Judy E. Little, and his church family. Over the 20 years of service at Miracles of Faith, he served in the following capacities: adjutant, deacon, President, Sunday School Superintendent, Pastor’s Aid member, Church and Pastor’s Anniversary, Committee member and a member of the Evangelism Team. He was truly a great asset to his pastor, church, and God’s people. Even up until his transition to Glory, he would call regularly to check on the new pastor of Miracles of Faith Church, Elder Kelsey Little, Sr., to encourage him and impart Godly wisdom. He will be greatly missed. After his marriage to the love of his life, Evangelist Missionary Cathalene (Baby Cakes) Butts, Deacon Butts became a watch care member of the St. Stephens C.O.G.I.C. under the leadership of Bishop Ted G. Thomas, Sr. There he served in many areas such as; Sunday School, YPWW, Outreach ministry, and Tuesday prayer as his health allowed. His absence will be apparent to all who knew him. May his work of provoking others to “love and good works” live on.